This entry was posted in Cornwall, Manchester and tagged Manchester university, Poppy, Wordless Wednesday on June 1, 2016 by Bec - views from my garden bench. Everything has really caught up with me this week and I am full of a horrible cold. We had a wonderful day at Tatton Park Flower Show on Friday– so much inspiration for our garden, but it was a very long day. I knew I was going down with something nasty as I couldn’t smell the beautiful flowers I’m including in my vase today. It’s the sweetpea :-). 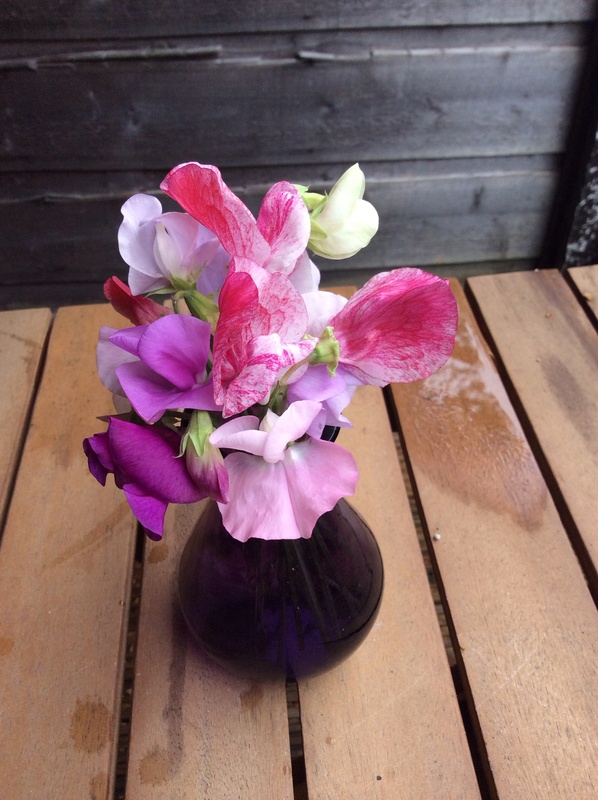 I nipped out to pick these sweetpeas, growing by the front door – they get full sun all summer and grow among two clematis – one dark purple and the other a more dapply mid pink one. There’s also a big ‘tom thumb’ hardy fuchsia. The sweetpeas are about 6 foot high at the moment. I don’t know the variety as the tag is hidden away. I’ve got more sweetpeas growing in the north facing back garden but nowhere near as far along as these. 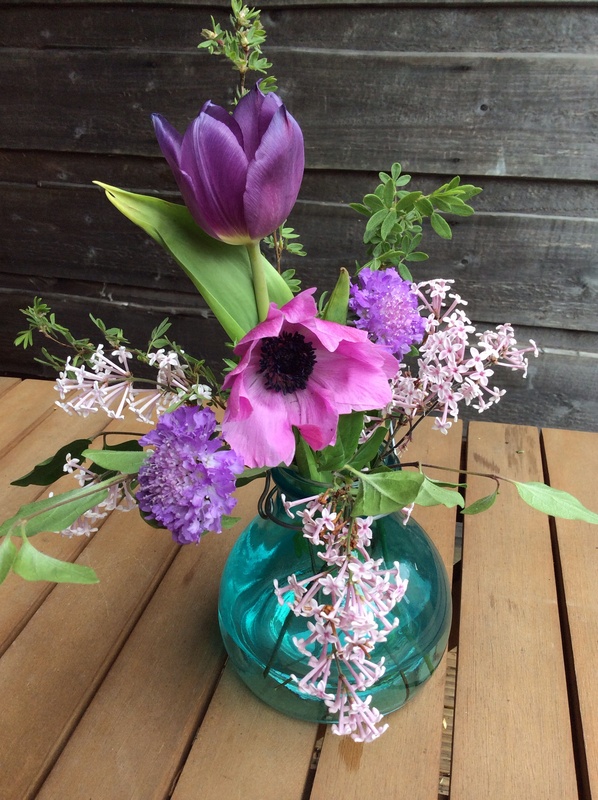 Please take a look at Rambling in the Garden – Cathy’s got gorgeous flowers from her mum’s garden on an island on the West of Scotland. It sounds a challenging place to garden, but must be very beautiful. I went to University in Scotland and it’s a place close to my heart. 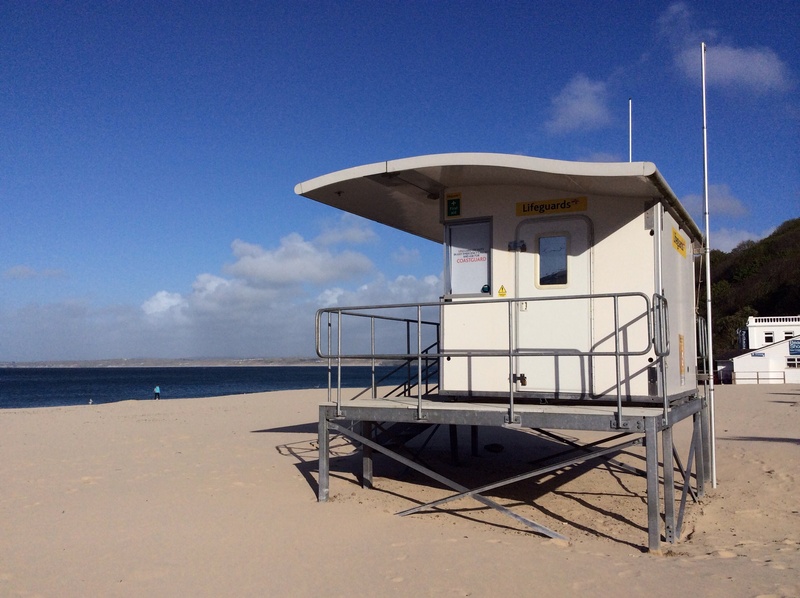 I really must visit again soon. 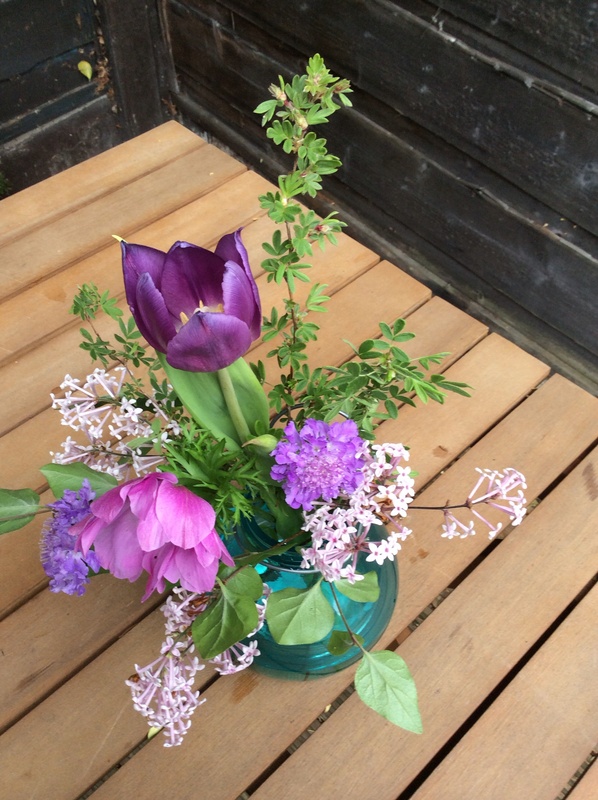 Cathy also talks about how her Mum picking flowers for vases helped give her love of gardening. I hope her mum enjoys the vases people post. 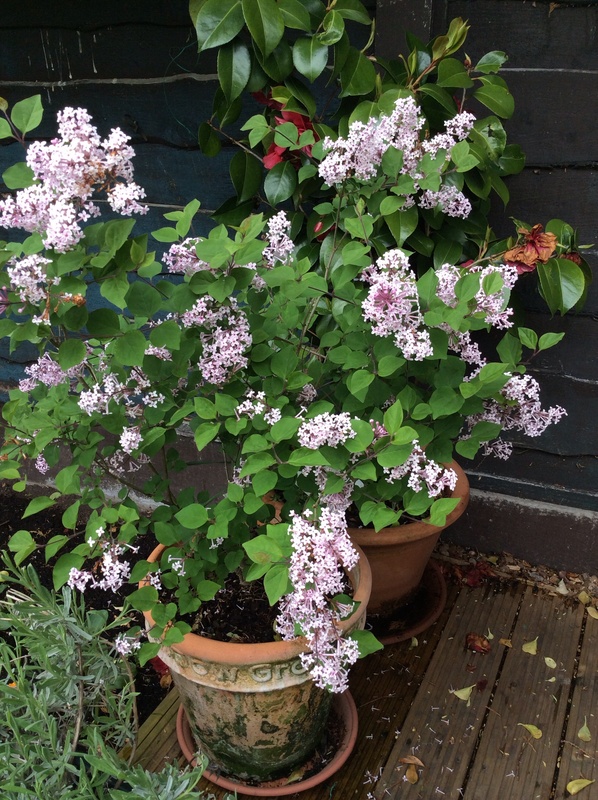 Writing this blog, has also reminded me how much of my love of gardening, sitting in the garden and enjoying visiting stately homes, castles and great gardens comes from my mother. Thanks Mum! My love of cooking comes from my Dad though. Have a good week everyone – I’m hoping the rain will stop soon here in Manchester and I’ll feel better soon. 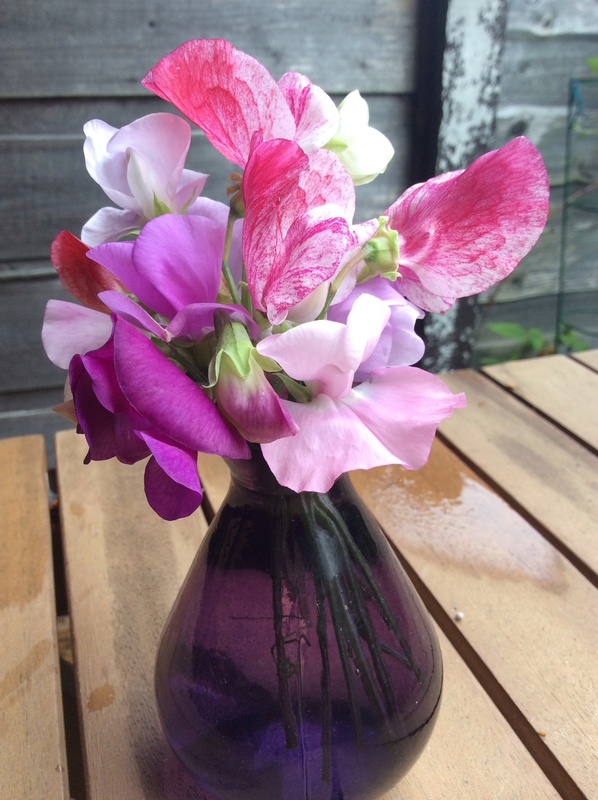 This entry was posted in Cornwall, Gardening, In a vase on Monday and tagged eden project, In a vase on Monday, sweetpea on July 27, 2015 by Bec - views from my garden bench.